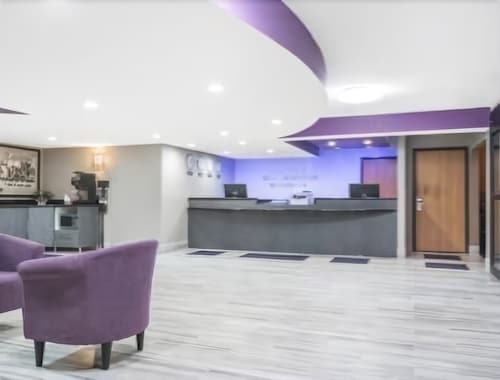 Located just off Interstate 94, this two-story hotel is four miles east of downtown Saint Paul, 14 miles east of downtown Minneapolis, and a half-mile from 3M headquarters. 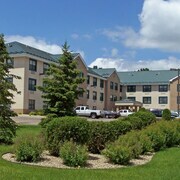 Situated in Woodbury, this hotel is 1.5 mi (2.5 km) from Tamarack Village and 2.4 mi (3.8 km) from Woodbury Lakes. RiverCentre and Indian Mounds Park are also within 9 mi (15 km). Situated in Woodbury, this motel is 2.9 mi (4.7 km) from Tamarack Village and within 6 mi (10 km) of Woodbury Lakes and Indian Mounds Park. StoneRidge Golf Club and Phalen Beach are also within 9 mi (15 km). 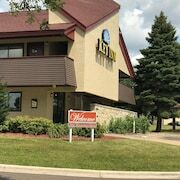 Situated in Woodbury, this hotel is 1 mi (1.6 km) from Woodbury Lakes and 1.7 mi (2.8 km) from Tamarack Village. StoneRidge Golf Club and Indian Mounds Park are also within 9 mi (15 km). 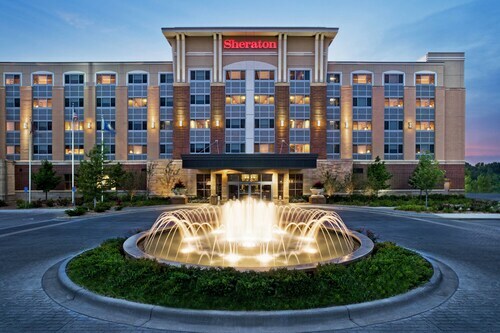 Situated in Woodbury, this hotel is 1.4 mi (2.2 km) from Tamarack Village and 2.2 mi (3.6 km) from Woodbury Lakes. RiverCentre and Indian Mounds Park are also within 9 mi (15 km). 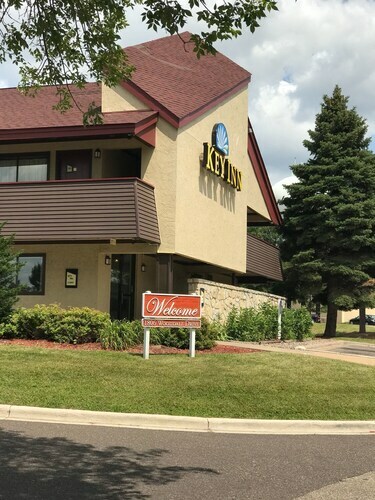 Located in the heart of Woodbury, this hotel is 2.5 mi (4.1 km) from Tamarack Village and within 6 mi (10 km) of Woodbury Lakes and Indian Mounds Park. Xcel Energy Center and RiverCentre are also within 9 mi (15 km). How Much is a Hotel Room in Woodbury? 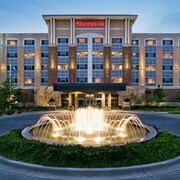 Hotels in Woodbury start at $60 per night. Prices and availability subject to change. Additional terms may apply. Feel the slight tilt of vertigo as you step back into simpler times. Woodbury, Minnesota, is a blast from the past in the best possible way. Only 12 miles from Saint Paul and 20 miles from countless Minneapolis hotels, the city’s quaint streets and thousands of acres of parkland have you feeling as if it’s your childhood hometown. Let the waters at Carver Lake lap your toes in the summer, or wrap up in a thick scarf to skate across Colby Lake in winter. 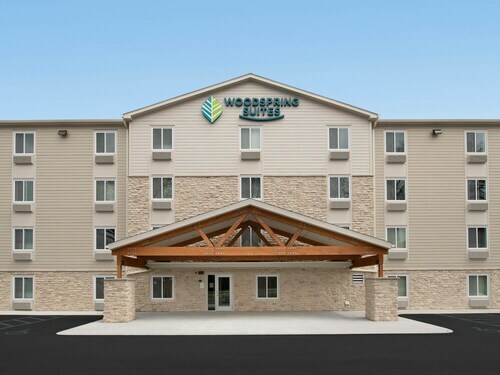 Whether you’ve been playing amongst blades of grass or drifts of snow, Woodbury, MN hotels give you a place to rest after a day of adventure. 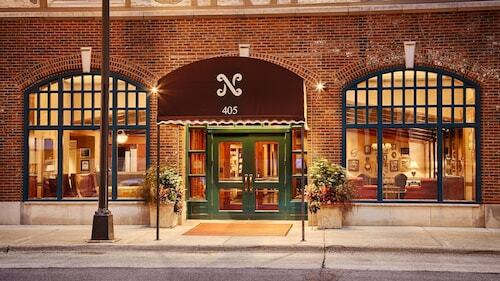 It’s hard to believe that Woodbury's charm and warmth is just minutes from the big Twin Cities. You'll feel worlds away as you feed quarters into the retro arcade games of the Fun Zone, blinking lights and neon flashes perfectly complementing those decadently cheesy slices of pizza. Then watch your 9-iron flash silver in the sun as you swing wide on the green hills of Eagle Valley Golf Course. Or retreat from the noise in a kayak as you paddle your way through the Serving River, navigating the waters as they funnel you toward your destination. At night, rest those tired muscles on the plumped-up pillows of the welcoming hotels in Woodbury, MN. Curious what lies beyond the city limits? Rent a car in Woodbury, MN to motor over to the famous Twin Cities, Saint Paul and Minneapolis. Both hold a wonder of history, art, and cuisine within their walls. Woodbury might be a vintage vacation, but Travelocity's deals are right at home in the modern world. 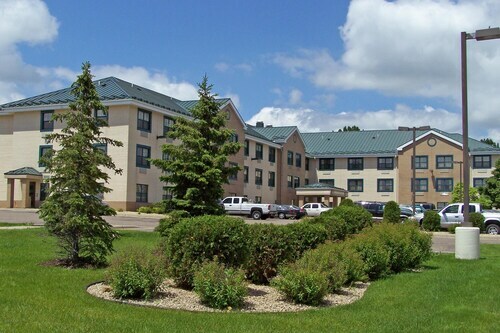 Fantastic prices on motels in Woodbury, MN can be found on our Travelocity App, along with a range of exclusive mobile deals. Very friendly staff. Room was clean and tidy. The pool and hot tub were a good size, not as clean though. It’s located about 10 minutes from the mall of America. Affordable price. And there is breakfast included. If you are on a budget it’s a great place to stay. Beautiful Spacious Townhome w/ 2 Car Garage Close To Everything!